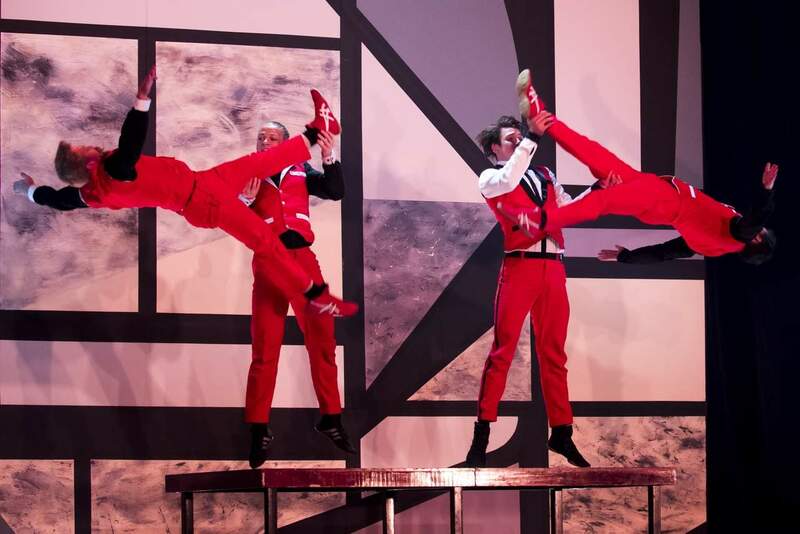 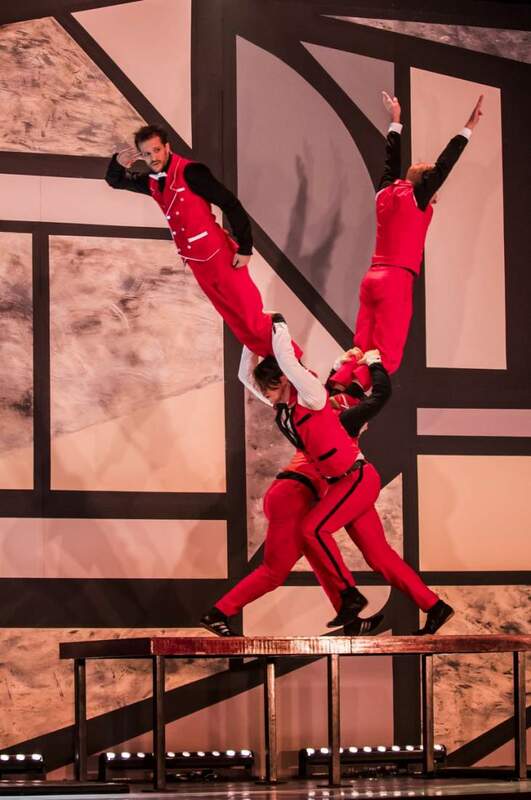 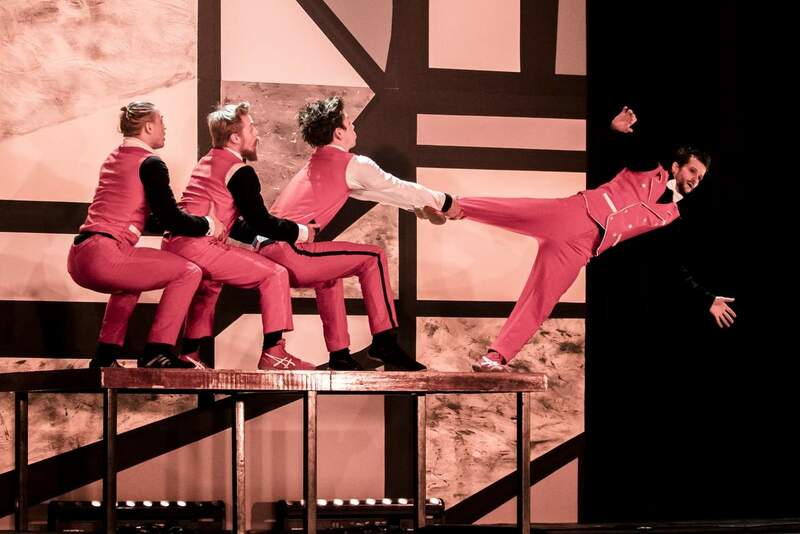 Quatuor Stomp acrobatic table act. 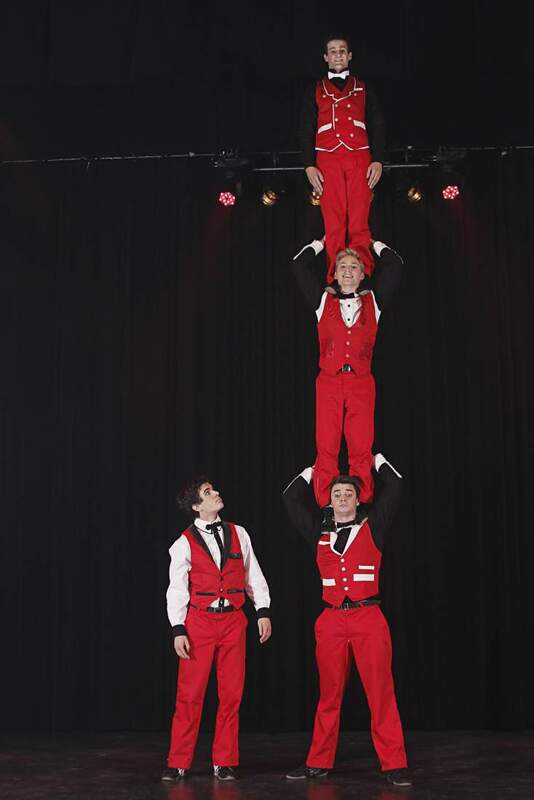 These four smartly dressed acrobats are ready to bring their unhinged comedy and breathtaking skills to the table, literally! 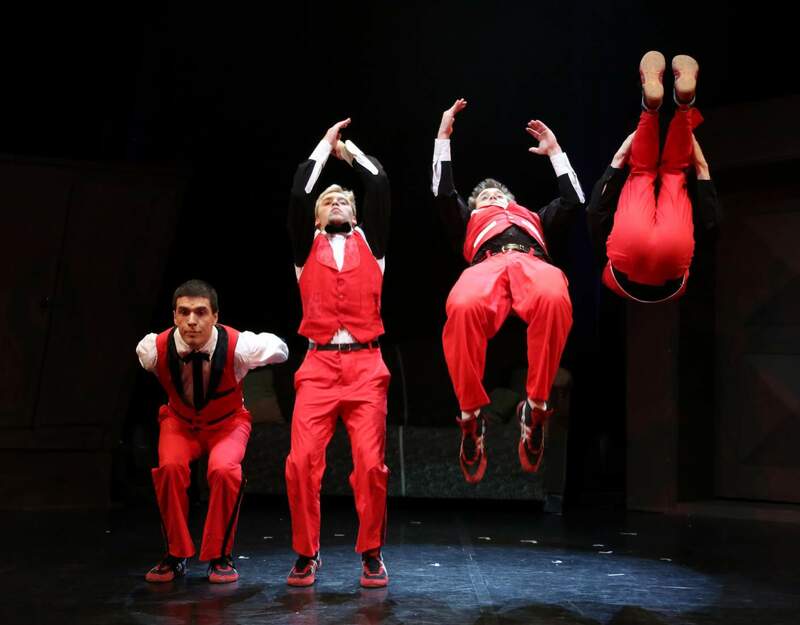 A high energy whirlwind of vaudevillian physicality with a modern sensibility, Quatuor Stomp's original number stands alone.